The fine folks over at Engadget have received a fresh batch of webOS 2.0 emulator screenshots, and while there’s not a whole lot we haven’t seen before, there is some new hotness in there. 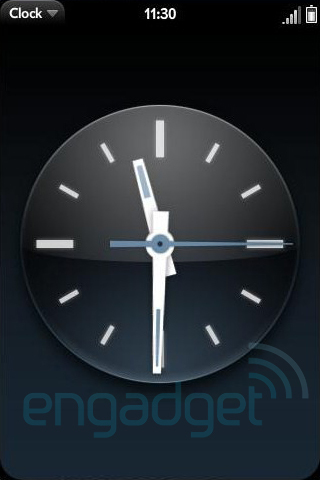 For example, the new “Classic” clock theme is very hot (and evolved from the hidden “analog black” in the current versions of webOS). It also looks like we have a few more alarm preferences - including ascending alarm volume and customizable snooze duration. 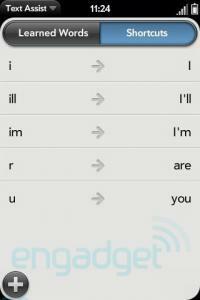 There’s also our first glimpse inside Text Assist, and it’s just as we suspected. Firstly there’s the ability to have webOS “learn” words, which means there’s going to be more active spellchecking in place. There’s also the slightly more exciting (at least to this blogger) “shortcuts,” wherein you gain the ability to quickly generate longer and more complicated text snippets with just the entry of a few characters.